When it comes to knowledgeable and experienced fence contractors in Jackson County, WV, no one has more knowledge and experience than the experts at Bare’s Fence Company, LLC. For the last 25 years, we’ve been serving a huge range of fence-related needs including installation, removal, maintenance and repair. Installation: Installing a new fence can be a hassle to say the least. That’s why we offer reliable installation services for your wood or chain link fence in Jackson County, WV. We’ll install your fence safely and securely to ensure that it will stay put for years to come. Leave the work to us and rest easy knowing that your fence will be firmly planted in the ground until you’re ready to have it removed. Removal: Are you ready to have your existing fence removed or replaced? Removing the fence yourself can seriously damage your lawn, making it appear unsightly. We have the equipment and knowledge needed to remove your fencing efficiently and effectively. Repair: Is your fence in need of repairs? No matter if it’s a bent hinge or a completely broken wood panel, we can fix it! We can perform any repair you may need, and we put our all into every repair and maintenance work that we do no matter how large or small the job may be. Temporary Fence Rental: We offer the best in temporary fence rental for new construction sites, demolition sites, and events or functions. Our chain link fences are made of the highest quality of aluminum to ensure that these fences can hold up no matter what their use is for. Guardrail Installation: If you are looking for a guardrail fence for your school, business, gas station, or parking lot, you have come to the right place. 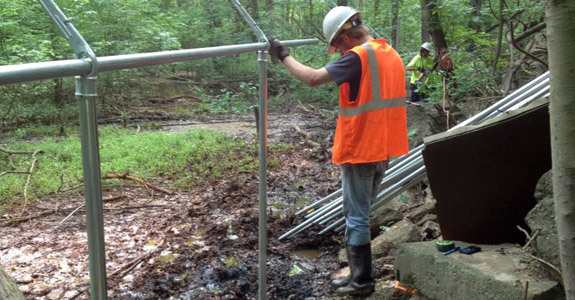 Our experts can install a guardrail to improve the safety of your business. Our temporary guardrails can also be used for concerts, outdoor events, carnivals, or other occasions. Call us today ask about availability and pricing. 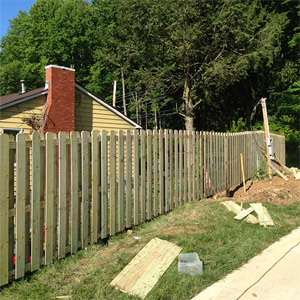 Whether you’re in need of the installation of a new fence, the removal of an old fence or the repair of your current fence, you can put your trust in Bare’s Fence Company, LLC to get the job done as efficiently as possible. We’re committed to providing the best combination of affordability and quality so that you can feel confident in coming to us with all of your fence-related services. Call us today at (304) 532-5985 to learn more about the services that we have to offer.